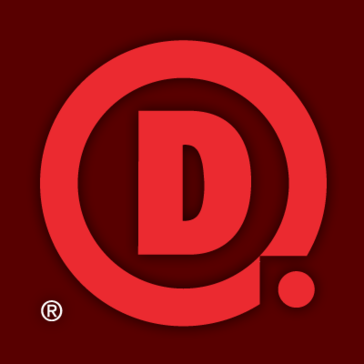 Looking for alternatives to DNSimple? Tons of people want Domain Registration software. What's difficult is finding out whether or not the software you choose is right for you. "GoDaddy is a good value as a web host and domain registrar: GoDaddy's pricing for most of their products are generally very low compared to competitors. Though there is some noticeable performance issues with certain products, particularly shared hosting, I think it performs relatively well considering the unpredictable server activity and speed factors that are inherant in shared hosting. About GoDaddy's customer service, I think you would be hard-pressed to find more pleasant and helpful phone support staff than some of the ones I often speak to at GoDaddy. Of course, not all will be top notch, but I've spoken to a few different reps that had incredible patience and kindness." "I've always had a good experience with Google Domains with the sites I've worked with. : I like that Google Domains is so easy to use, and it's very nice that everything can be linked to one account, since it would all be through Google. I also appreciate that it's user-friendly and for the most part, self-explanatory. It's also great to host several domains in one place so they're together and can be updated at one time. " "Hands down my favorite domain registrar: Don't let their name fool you into thinking they're just a discount domain shop. Yes, their pricing is excellent, but this is an excellent company offering excellent services. But beyond pricing, the dashboard for domain management is elegant and simple to use. 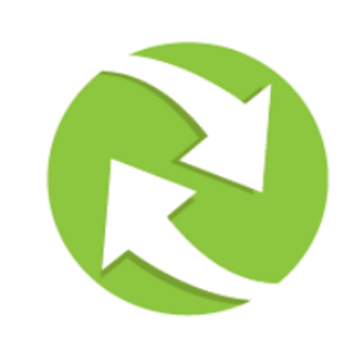 I can log in and renew domains in just a few minutes --the renewal process is fast and easy. They revamped the user interface a few years ago, and it has been a joy to use ever since. It's a better interface than other ones I've used, namely GoDaddy, Network Solutions, and eNom. Also, they also offer free distributed DNS for your domains, which means you don't have to manage name servers for your domains. Just let them do it." "Average domain marketplace service. : PROS – Afternic fast transfer with GoDaddy is awesome, and being listed in the path of GoDaddy by default and listed as “premium” is huge – $25,000 BIN price max is reasonable (compared to Sedo’s $10k) – No max price limitation on “make offer” minimum – I’ve never had a buyer back out of a sale – Great customer support and service"
"Network Solutions: Network Solutions is a great online Host for website and domain services. They provide adequate service and cheap domain prices! They offer bundle deals and the use of features is awesome." "Has pluses and minuses: Here's what I like best about GoDaddy email services: They're easy to set up and organize. They integrate with a lot of different type of mail programs. You can easily log in remotely to view emails. And the search options are pretty good." "excellent prices and support : I loved how everything was so easy. Go Daddy helped me with out having to stress and made everything so nice.i was giving the oppurtunity to call customer service for addinional information and the way they helped me was very profesional and they helped me with all the questions i had with out any hesitation." "Expertise Matters: This company has values that match my own. They support non-profits. Their customer service responds quickly and is top notch. Their search area of potential topics is robust and extensive. Since they are a very focused company they excel at what they do. It is very easy to connect domain with a hosting service. Ease of use is very solid, including user interface and instructions very anything needed. They support two-factor authentication. They give you zero reason to look anywhere else." "Must be savvy: I like that I am not pushed to buy anything other than an ip and registration. Other companies make it hard to even publish your site without their site builder or a consultation etc. Register also has a partner agreement where you can become a reseller. " "it is just a domain: It is a good business model but really they are nothing more than loan sharks with massively inflated markups. The internet is littered with stories of how huge domains squatted on names and various sharp practices, but don't take my word for it, google them and always do your own research. Think very carefully and read the reviews out there to make up your own mind." 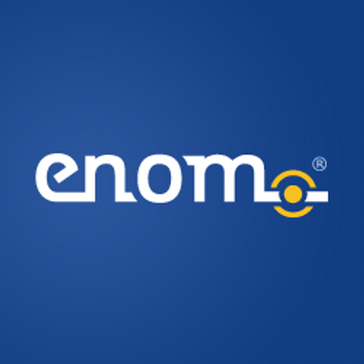 "Domain register : I think the best thing that Enom has is the ease of being able to transfer the domains. Only the EPP key is requested and the process of transferring it is easy and simple. In general, the Control Panel is intuitive and friendly." "An Average Registrar: The main reason I chose Gandi is that of the TLDs offered by them. there are many website Registrars out there but none of them offered such wide range of TLD's to select From, I actually Moved By Domain and Gandi only because of this. 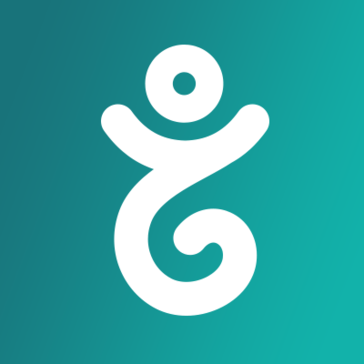 another great feature about Gandi is their Security Features, it's so clear that Gandi concerns about their user privacy and credibility that you never use an account or domain from using Gandi. they provide free SSL and WHOIS privacy with Domain Registration which is really helpful." 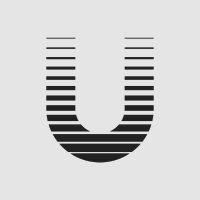 "Nice domain registration service: Uniregistry provides a quick and easy way to create or find the best possible domain for your company or project. I've used it only several times, but in all cases was able to find a good domain for our project without paying too much for it, It has a nice selection of domains and extensions, without the need to jump through the hoops. Overall, an amazingly simple and useful tool to help you find a great domain." "True and Professional Domain Provider ¡Best Prices! : Been using Namesilo for quite a long time and they are truly a transparent and efficient domain provider. You have all and more of the feature you would expect for a more known name but in a professional and direct way. You can trust in their service expecting that your purchase value is safe and is considered as important, no matter if you only have 1 or 1000 domains. Prices are low, sustainable and only vary prior external circunstances. 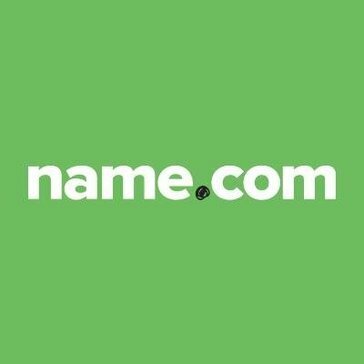 Definitely your #1 choice for centralizing your domains"
"terrible host: i came to know about name.com from a friend and decided to check it out. registered a few domains with them. when coming to registering domains, they are awesome and does the job perfectly and register the domain instantly. the interface is absolutely beautiful, i find it really easy to move around the options without much trouble. the domain options editing is great like you could edit the nameservers of all your domain at ones which really saves your time. i got free whois privacy for an year with them which is pretty cool and saved me a few bucks. the pricing is really good and there are no fishy schemes which give a first-year discount and very straight forward." "Stay far away: they got a great range of TLD's available in the latest update and it includes all the latest gTLD's. the registration process is simple and quick, you can register the domain with a click. the domain search is really good, you could just enter the term and it shows all the tld's and whether they are available, really handy tool." "Great for first time users: I especially love the ease of being able to share software with others that are searching for specific software. Being able to browse the library for featured software. I like how organized the website is, and the options for being able to download free and paid software as well as review and see the reviews of others before trying. Seeing the reviews of others makes it even more trustworthy and easy to use." "Register.it Simlple: User control panel is sleek and simple, editing of services is straight forward too, such as editing DNS, many times have .IT domain extensions on offer for completely free. 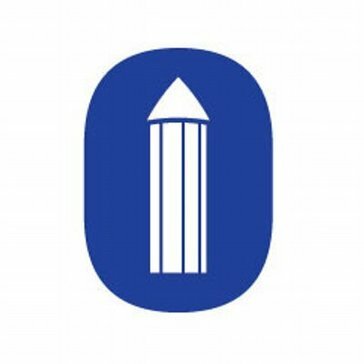 and various other domains such as.com, They cover all types of services "
"Once upon a time SEDO was very good: Once upon a time, 3-4 years ago, SEDO was very good for domain parking and for selling domains. Today SEDO remains good if you have good domain names that have traffic (readers). 3 years ago, parking a domain name with SEDO was very good, you could auction your domain on SEDO, you could sell your domain on SEDO paying 10 dollars and sending the domain to be appraised. But not today. I am telling this from what I have discussed with people on other websites (NamePros). They say that SEDO remains good for selling domains for professional sellers, that is for domain name sellers that are used with selling on SEDO. those that try to sell a domain, they are not be accepted. I repeat, this is what people were discussing, that SEDO is not what it was three years ago. 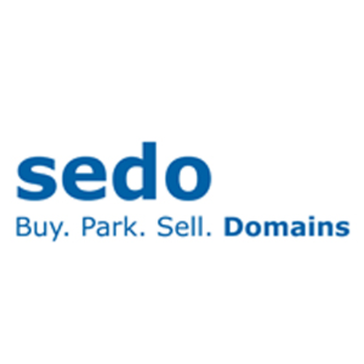 If you have many domains to sell, SEDO is very good and every person on the internet recommends SEDO, if you have 10-20 domain names to sell, you can try parking them with other parking websites. " "Mi placer por la utilización del software: La facilidad de usar lo fácil de crear dominios, la verdad muy buena interfaz aunque no llevo mucha usandola, se me hace muy accesible ya que no hay muchas páginas tan fáciles de usar. y para mi negocio me facilitó y las herramientas de uso igual. También que siendo una persona que no utiliza tantos programas se me hace muy factible tener una herramienta así. Lo que me gusta más es la interfaz comodidad y que se adapta a las distintas formas de clientes y los usos que le puedes dar gratifican el precio pagado." Hi there! Would you like help finding solutions similar to DNSimple?